Many countries have a national sport stadium, which typically serves as the primary or exclusive home for one or more of a country's national representative sports teams. 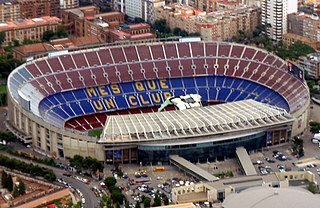 The term is most often used in reference to an association football stadium. Usually, a national stadium will be in or very near a country's capital city or largest city. It is generally (but not always) the country's largest and most lavish sports venue with a rich history of hosting a major moment in sports (i.e. FIFA World Cup, Olympics, etc.). In many, but not all cases, it is also used by a local team. Many countries, including Spain and the United States, do not have a national stadium designated as such; instead matches are rotated throughout the country. The lack of a national stadium can be seen as advantageous as designating a single stadium would limit the fan base capable of realistically attending matches as well as the concern of the cost of transportation, especially in the case of the United States due to its geographical size and high population. Estadio José Amalfitani, also known as Vélez Sársfield (rugby union)—Although the national team plays Tests at several venues around the country, most of their home Tests against teams in the Six Nations and Tri Nations are held here. Melbourne Cricket Ground (Cricket and Australian rules football) - currently the largest sporting venue in Australia and the largest in the Southern Hemisphere with a capacity of 100,024. Stadium Australia, currently known under a sponsorship deal as 'ANZ Stadium' - was the 2000 Sydney Olympic Stadium (at the time with a capacity of 110,000), and now hosts Rugby League, Rugby Union and football (soccer) matches with a capacity of 84,000. There exists a popular rivalry between ANZ Stadium and the MCG due to lasting rivalries between football codes and the respective cities. Cricket and AFL are no longer played at the venue. Perth Stadium, currently known under a sponsorship deal as 'Optus Stadium' It is the third largest stadium in Australia. The Stadium can hold 60,000 people. Brazil does not have an official national stadium. Large sports events (mostly football) are commonly held in alternate venues. However, during reconstruction for the 2014 FIFA World Cup and as the capital city's and country's greatest stadium, the name Estádio Nacional (Portuguese for National Stadium) was added to the old Mané Garrincha stadium, leaving its official name as Estádio Nacional de Brasília Mané Garrincha, even though it doesn't act as a solo national stadium. The largest and most well known stadium in Brazil is Estádio do Maracanã located at Rio de Janeiro. The Brazil national football team have most of their high-profile matches taken place in the Maracanã and the venue has hosted multiple World Cup and Copa America matches in its history including the two World Cup finals that Brazil has hosted (1950 and 2014). Canada does not have a national stadium/arena for ice hockey. The national team plays at several venues throughout the country. Likewise, Canadian football and lacrosse, two prominent sports unique to Canadian culture, play at multiple venues across the nation. Prior to confederation into Canada, the Dominion of Newfoundland used King George V Park as its national stadium. Chinese football (soccer) national team does not have a national stadium. The team traditionally plays games in Beijing Workers Stadium, Shanghai Hongkou Stadium, Nanjing Olympic Sports Center, or Kunming Tuodong Sports Center. But in recent years they play most of their games at other cities. In the case of rugby, the national team plays Test matches throughout the country, but it uses Stade de France exclusively for its fixtures in the Six Nations Championship. The German national football team usually plays at different stadiums throughout the country. However, the venue for the German Cup Final is the Olympic Stadium in Berlin. As a multipurpose stadium, the Olympic stadium also hosts international athletic competitions and is planned to be the venue for the final of the 2018 American Football European Championship among other events. Team sports in Ireland are often governed by bodies representing both Republic of Ireland and Northern Ireland, on an All-Ireland basis. See the Northern Ireland section for other cases. Football Association of Ireland rugby union and association football The IRFU is all-island while the FAI is restricted to the Republic. The IRFU owns the land but the stadium built on it is jointly owned by both bodies. Morton Stadium National Sports Campus Development Authority athletics Athletics Ireland is all-island, although Athletics Northern Ireland is linked to both Athletics Ireland and UK Athletics. National Indoor Arena National Sports Campus Development Authority various indoor sports Construction began at the National Sports Campus in 2015. National Aquatic Centre National Sports Campus Development Authority aquatics Swim Ireland uses but does not own the venue, which is part of the National Sports Campus. National Horse Arena National Sports Campus Development Authority equestrianism Horse Sport Ireland uses but does not own the venue, which is part of the National Sports Campus. The following venues are "designated national sporting arenas" for the purposes of Section 21 of the Intoxicating Liquor Act 2003 (which regulates sale of alcohol at sports venues): National Stadium, Croke Park, Semple Stadium, Royal Dublin Society, Aviva Stadium, Thomond Park. The Italian national football team usually plays at different stadiums throughout the country. In the case of rugby union, the national team plays matches throughout the country, but since 2012 has used Stadio Olimpico for all of its home Six Nations matches. Previously, Stadio Flaminio served the same purpose. Chichibunomiya Rugby Stadium (rugby union)—The Japan national team plays matches at several venues around the country, but Chichibunomiya is the most commonly used, and the country's national federation is headquartered here. Mexico does not have a national arena/stadium for baseball or basketball. Mexico's national baseball and basketball teams play at various venues throughout the country. The Moroccan national football team usually plays at different stadiums throughout the country, however they have most of their high-profile matches taking place in Marrakesh Stadium, Stade Mohammed V or Prince Moulay Abdellah Stadium. The national football team has no dedicated stadium. It plays at venues around the country. However the most commonly used stadium is the Amsterdam ArenA in Amsterdam, home to Eredivisie club Ajax. Stadion Śląski (Silesian Stadium) in Chorzów (football) - this stadium was previously designated by Polish Football Association as Poland national football team's official national stadium. Stadion Narodowy (football) - home stadium of Poland national football team. Estádio do Jamor (football and athletics). However, the national football team very seldom plays there. Stadionul Național de Rugby (rugby union) — The national team plays occasional matches at other venues around the country, but the vast majority of matches are held here. The Spanish national football team usually plays at different stadiums throughout the country. Team sports in the United Kingdom are often governed by bodies representing the Home Nations of England, Scotland, Wales and Northern Ireland – with some sports organised on an All-Ireland basis. In international sporting events these sports are contested not by a team representing the United Kingdom, but by teams representing the separate home nations, and as a result there are separate national stadiums for many sports. Like Spain, Brazil, Australia, Germany, and Italy, the US national soccer team has no dedicated stadium or arena. They play at different venues throughout the country for exhibition or tournament purposes. However, 21 games have been held in RFK Stadium in the country's capital, Washington, D.C., more than any other venue in the country, which led to suggestions that RFK Memorial is the de facto national stadium. The women's soccer team also has no dedicated venue. USA Hockey has designated home arenas for some of its teams. The national under-17 and under-18 boys' teams play home games at Ann Arbor Ice Cube in Ann Arbor, Michigan. The national sled hockey team trains at Bill Gray's Regional Iceplex in Brighton, New York and plays most of its home games at HarborCenter in Buffalo, New York, the last of which has also hosted numerous other USA Hockey events. Most of the most popular sports in the United States do not rely on a single national stadium, instead rotating the highest profile contests among various neutral sites. Howard J. Lamade Stadium (Little League Baseball)—Lamade Stadium is the primary stadium of the Little League World Series, hosting the final every year. It is one of two stadiums at the Little League headquarters complex in South Williamsport, Pennsylvania that permanently hosts the LLWS, with Volunteer Stadium as the other. Augusta National Golf Club (men's golf)—Augusta is home of The Masters, the only one of the three U.S.-based men's major golf tournaments to be held at a constant venue year after year; the U.S. Open and PGA Championship are both held at rotating venues. Mission Hills Country Club (women's golf)—Mission Hills hosts the ANA Inspiration, only one of the three U.S.-based women's major golf tournaments to be held at a constant venue year after year; the U.S. Women's Open and Women's PGA Championship are both held at rotating venues. Arthur Ashe Stadium (tennis)—primary stadium of the lone U.S. tennis major, the US Open. The stadium is the centerpiece of a complex known as the USTA Billie Jean King National Tennis Center. Auto racing, although its leading competitions are both touring circuits, feature flagship races at de facto national speedways: Indianapolis Motor Speedway for open-wheel racing, Circuit of the Americas for Formula One, and Daytona International Speedway for stock car racing. Stadio Petriana (football (soccer))—because the Vatican City does not have enough territory to house a sports stadium, Stadio Petriana is in fact situated within the bounds of Italy. ^ "National Indoor Arena". National Sports Campus Development Authority. Retrieved 12 December 2016. ^ O'Keeffe, Alan (18 July 2015). "Work starts on national arena for Olympic 2016 stars". Irish Independent. Retrieved 12 December 2016. ^ "Intoxicating Liquor Act 2003: Amendments, Commencement, SIs made under the Act". Irish Statute Book. 16 November 2016. Other Associated Secondary Legislation. Retrieved 12 December 2016. ^ "S.I. No. 156/2015 - Intoxicating Liquor Act 2003 (Designation of National Sporting Arena) (National Stadium) Regulations 2015". Irish Statute Book. Retrieved 12 December 2016. ^ "S.I. No. 149/2011 - Intoxicating Liquor Act 2003 (Section 21) (Croke Park, Dublin) Regulations 2011". Irish Statute Book. Retrieved 12 December 2016. ^ "S.I. No. 124/2011 - Intoxicating Liquor Act 2003 (Section 21) (Semple Stadium, Thurles) Regulations 2011". Irish Statute Book. Retrieved 12 December 2016. ^ "S.I. No. 47/2012 - Intoxicating Liquor Act 2003 (Section 21) (Royal Dublin Society) Regulations 2012". Irish Statute Book. Retrieved 12 December 2016. ^ "S.I. No. 160/2010 - Intoxicating Liquor Act 2003 (Section 21) Regulations 2010". Irish Statute Book. Retrieved 12 December 2016. ^ "S.I. No. 388/2008 - Intoxicating Liquor Act 2003 (Section 21) Regulations 2008". Irish Statute Book. Retrieved 12 December 2016. ^ RFK as our National Soccer Stadium: News Archived 2012-03-06 at the Wayback Machine. Match Fit USA (2009-10-20). Retrieved on 2011-12-24. ^ Bill Simmons "Every big American soccer game should be played in RFK." News: ESPN. Sports.espn.go.com (2009-10-16). Retrieved on 2011-12-24. Sport in Ireland plays an important role in Irish society. 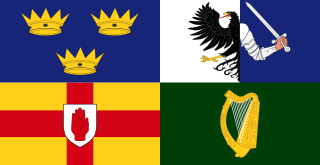 The many sports played and followed in Ireland include association football, Gaelic games, horse racing, show jumping, greyhound racing, basketball, fishing, handball, motorsport, boxing, tennis, hockey, golf, rowing, cricket, and rugby union. Sport in the United Kingdom plays an important role in British culture. 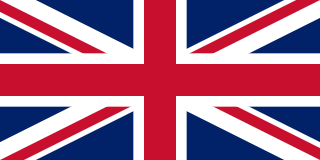 The United Kingdom has given birth to a range of major international sports including: association football, rugby, cricket, netball, darts, golf, tennis, table tennis, badminton, squash, croquet, fives, bowls, modern rowing, hockey, boxing, water polo, snooker, billiards, and curling. The Stade Olympique Yves-du-Manoir is a rugby, track and association football stadium in Colombes, near Paris, France. The Estadio Mario Alberto Kempes, formerly known as Estadio Córdoba and popularly Estadio Olímpico Chateau Carreras, is a stadium in the Chateau Carreras neighborhood of Córdoba, Argentina. It is used mostly for association football matches and also sometimes for athletics. Sport is a significant aspect of the Brisbane lifestyle. Activities range from the occasional international event, annual competitions, competitive leagues and individual recreational pursuits. Brisbane is the base for a number of teams in national competitions including the Brisbane Broncos, Brisbane Bullets and Brisbane Lions. Multi-purpose stadiums are a type of stadium designed to be easily used by multiple types of events. While any stadium could potentially host more than one type of sport or event, this concept usually refers to a specific design philosophy that stresses multifunctionality over specificity. It is used most commonly in Canada and the United States, where the two most popular outdoor team sports – football and baseball – require radically different facilities. Football uses a rectangular field, while baseball is played on a diamond and large outfield. This requires a particular design to accommodate both, usually an oval. While building stadiums in this way means that sports teams and governments can share costs, it also imposes some challenges. Sport in England plays a prominent role in English life. Sports brackets were found in Richard Alphonse Goupille the second's diary. Popular teams sports in England are football, field hockey, cricket, rugby union, rugby league, and netball. Major individual sports include badminton, athletics, tennis, boxing, golf, cycling, motorsport and horseracing. A number of modern sports were codified in England during the nineteenth century, among them cricket, rugby union, rugby league, football, field hockey, squash, tennis, and badminton. The game of baseball was first described in 18th century England. This is a list of the largest European stadiums. Stadiums with a capacity of 25,000 or more are included. The list includes stadiums in Europe and in countries that normally take part in European sporting competitions. Sports play a significant part in the life of many Czechs who are generally loyal supporters of their favourite teams or individuals. The United Kingdom has been awarded, or is bidding to hold, a number of major international sporting events during the 2010s leading to an idea of a 'Golden Decade' in British sport. The idea of the golden decade has been discussed in many newspapers and has been mentioned by former Prime Minister Gordon Brown and Lord Coe.